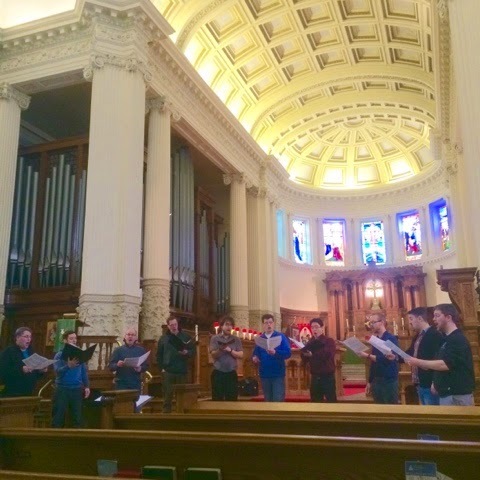 More than half of the tour with the Canadian Chamber Choir is complete and it is by far one of the most taxing and rewarding touring experiences I have been on thus far. I attribute it to the fact that in previous choirs that I've been in, by the time you go on tour, the music that you are planning to sing on tour is usually well-rehearsed and ready for the audiences you are about to meet. In this case, I am learning almost 30 new pieces. While I had prepared as much as I could on my own, there's always more work to be done when you are putting parts together with other voices. Creating ensemble takes so much listening work to the voices surrounding you and watching a conductor to interpret a new gestural style. 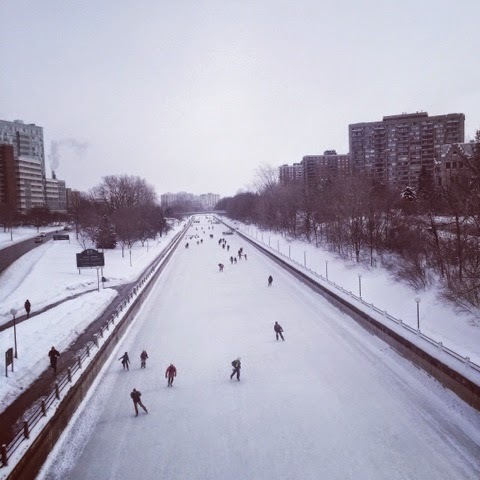 The first day was a commute day. I set off from an Edmonton flight at 7 AM and arrived in Toronto at 12:30 PM. Most of the singers either flew into Toronto or Ottawa and from there we all drove to Kingston. Select choristers were in charge of obtaining rental vans to pick up other groups of choristers from the airport. There's nothing a like a road trip to start of the tour to introduce to me to the choristers I had just met at the arrivals gate. I was greeted with warm hugs from the Altos when they saw me arrive, dissolving apprehensions I had about approaching the group as an outsider. 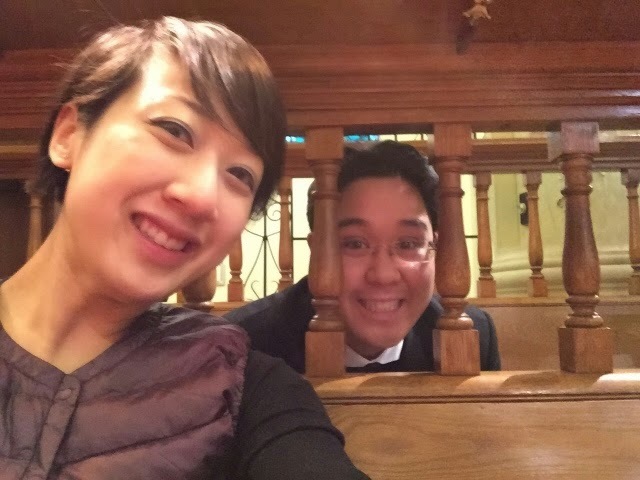 The amazing thing is that I have met many of the choristers before at choral conferences, performances, tours, or just through visibility on social media networks. 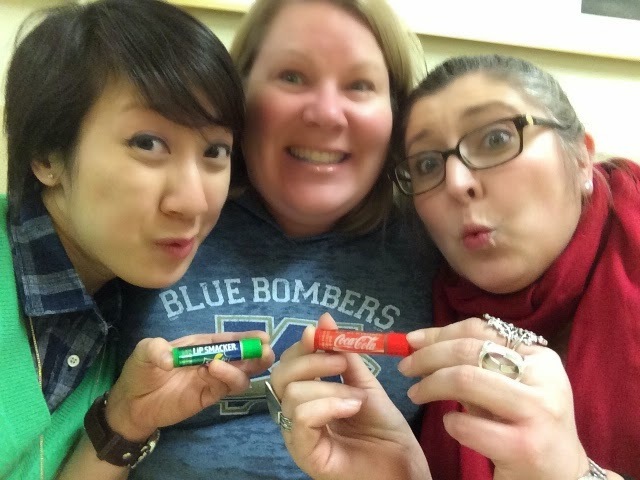 Sandy gave Kim and I lipsmackers as a welcome to the choir gift! A meet and greet with our billets at the church led into our first rehearsal. My rehearsal performance felt pretty rough. As much as you try to do to take care of yourself, the fatigue and dehydration of travel took a toll on my body and voice. It is difficult to expedite the recovery process without time for rest. Instead, I used a combination of caffeine stimulants and high sugar foods, with varying levels of success, to survive the evening with sufficient mental acuity. The next day was by far the most challenging. 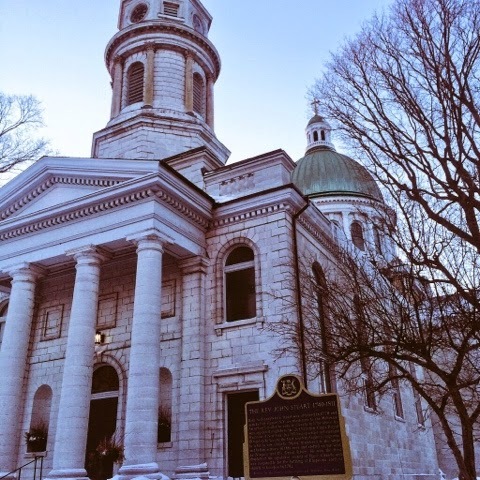 We were up and ready to sing Sunday church service at St. George Cathedral. It was a stunning service but there was something going with the heat in the church and I was shivering throughout the entire performance. The rest of the day was filled with rehearsal, as well as eating and layering enough clothing to conserve body heat. My anxiety decreased as rehearsals went on. I don't think I have ever been quite as fatigued on tour as I have been on this one. 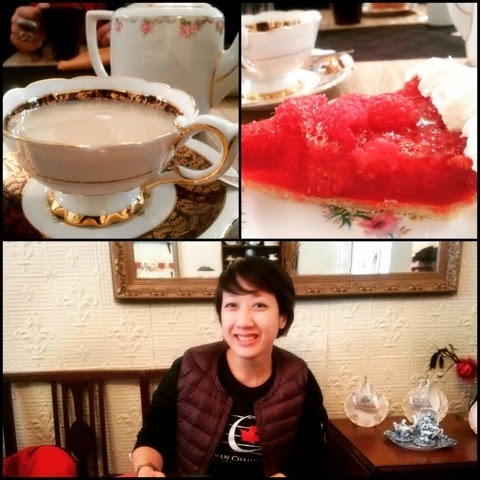 When I would get back to my billet's home, I would debrief over tea then crash on my bed. I was too tired to even text my family updates. Tuesday followed a similar rehearsal pace except we had our sound check that afternoon for our concert that evening. As I approached the stage, it was quite moving for me to see so many similar faces in the audience. Jean, who had welcomed us as soon as we arrived at the church was looking after the choir during their stay. She had been constantly cooking and making beverages for us over the past two days. Jean was beaming in the back pew of the church with rosy cheeks and damp eyes during our entire concert. My own billet, Mary, was sitting in the front row, supporting me like a family member. She gave me gentle smiles and I would look over for an encouraging glance as I worked my way through the repertoire. 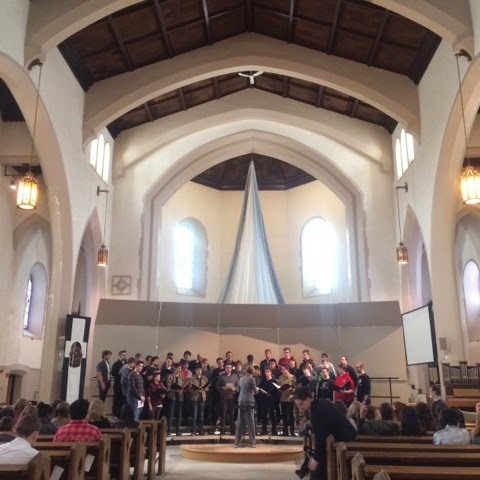 It was my first concert with the Canadian Chamber Choir. I had these flashback moments during entire concert where I reversed my perspective and could remember my first moment seeing the CCC in concert while they toured Alberta in 2011. It blows my mind that four years later I would be on the other side. 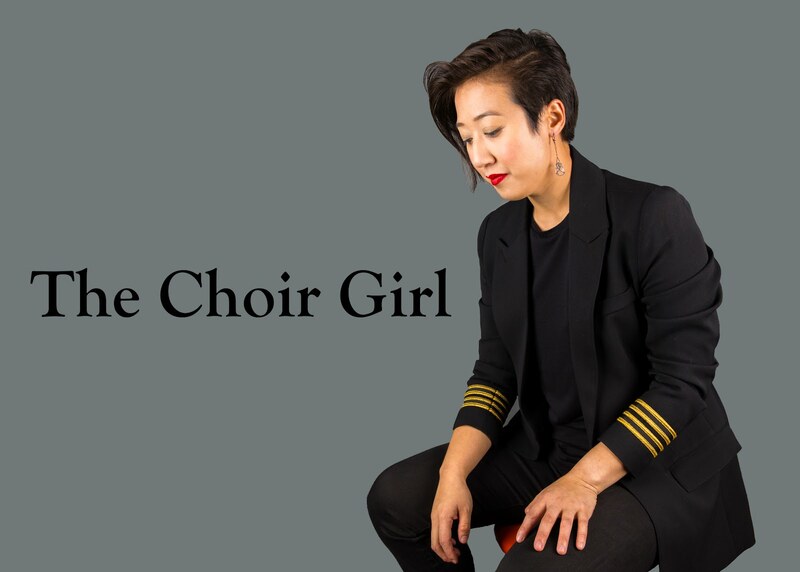 First and foremost, I am a fan of the CCC and the work that they do going into choral communities and sharing their song and choral presence with audiences. There is no concept of 'us' and 'them.' Instead, there is the concept of 'we' and how all music lovers can make music together. There is a real sense of accessibility in regards to the music they have published in their CCC series with Cypress music. The sense of community building is further emphasized by the fact that singers are billeted with lovers of choral music. 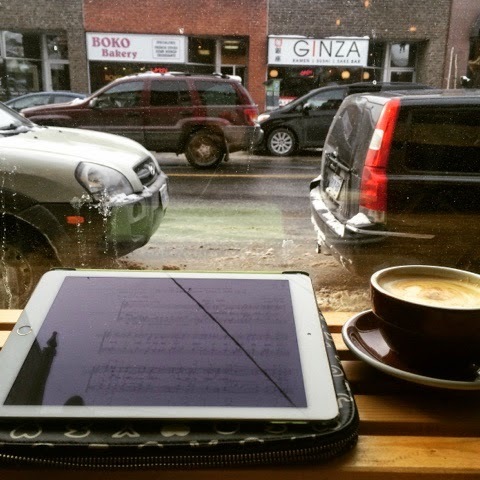 I have had such an amazing experience looking through the repertoire my billets are working on, showing them my music and how I use an iPad to read music, tales of bad auditions, and I have even had billets ask me about my love life. It makes me realize that even though we are all separated by distance, our connected love of singing brings an instant sense of familiarity. One of the most challenging things I have had to deal with so far is how to manage and recharge my energy stores. 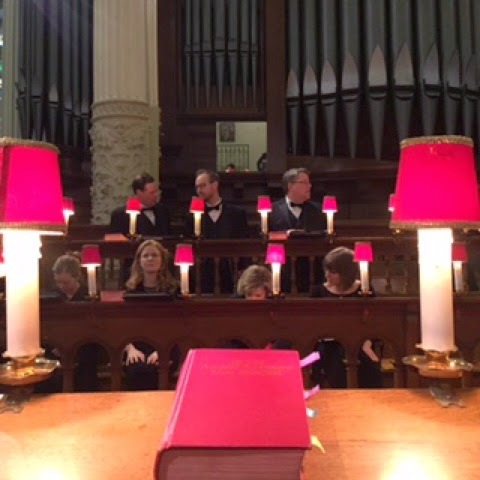 I know I need dedicated focus during the entire rehearsal time; however, I also want to give my fellow choristers, workshop choristers, billet hosts, audience members my undivided attention. 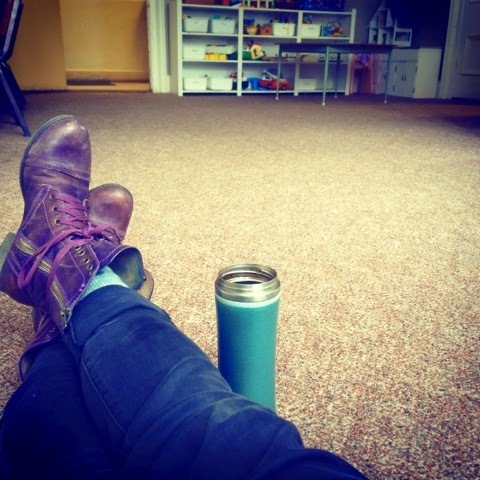 There is minimal to no time built into the schedule for free time, thus, it's about finding small pockets of time to recharge and capitalize on quiet time. One day it was taking a pain killer and taking a 45 min nap on a bed in the old nunnery behind the church; on another day it was riding down an ice slide set up for a winter festival. It has been an uphill battle getting music performance ready in three days let alone ensuring that I have sufficient energy for socialization. I only feel like I am now back in control at this halfway point in the tour. I was dragging myself along for the first few days. Much of the process is helped with my supportive network of CCC choristers checking in with me. They make sure I'm up to date on all music notes and confirm schedule times. Arriving in Kingston feels like a lifetime ago, but it has only been five days since I first met everyone. As I prepare to wrap up this last leg of the tour, I am making sure to do lots of mental check-in's to be thankful that I am singing with the CCC. The CCC workshop today with high school choirs at the University of Ottawa solidified that for me as they asked questions about how they get into the choir, how we prepare music etc. I had the exact same questions four years ago. It's a moment to be grateful, but to pick up and keep going since tour isn't finished quite yet! Best of luck with the rest of the tour Sable!